Hardcover, 9.5 x 11.5 in. / 192 pgs / 130 bw. 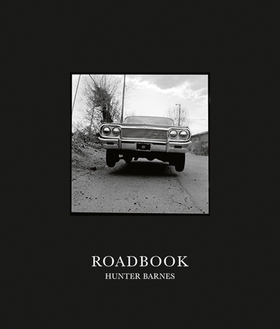 Roadbook is the work of the incredible documentary photographer Hunter Barnes. His beautiful and sensitive photographs document aspects of American culture and communities ignored by the mainstream and his artistic gaze focuses on the faces of proud groups of people who are consistently misrepresented in the modern American narrative. “For years I’ve traveled with my cameras capturing moments of time with the people the road has led to me,” he writes. Barnes' photographs capture moments and scenes most people will never get to experience firsthand. He cherishes the friendships he builds with people who recognize his sincerity and allow him access to their private worlds. After establishing their trust over meaningful dialogue and shared experiences, he frames his subjects as they are and where they dwell. Barnes shoots exclusively in black-and-white film and his stunning photographs are accompanied by his own lyrical reflections. This is a stunning, magnificent work by one of the most important emerging documentary photographers in the US. FORMAT: Hbk, 9.5 x 11.5 in. / 192 pgs / 130 b&w.